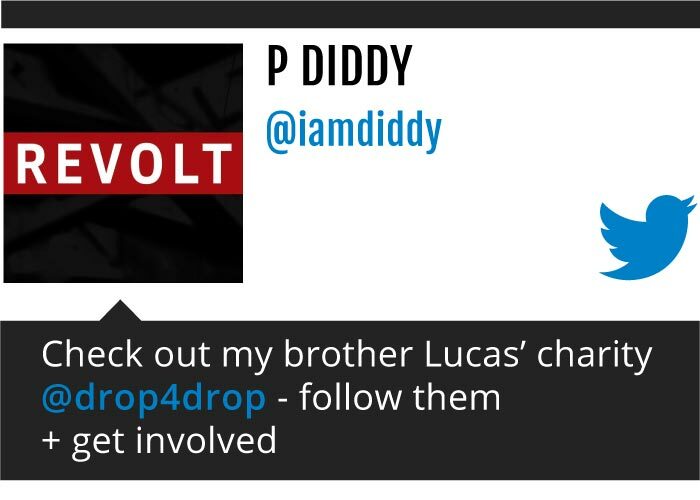 DROP4DROP - Diddy digs wells! We want to say a massive thank you to hip hop legend and massive drop4drop supporter Puff Daddy. Puff Daddy has pledged to give water to 6 communities, that’s over 6000 people, through drop4drop projects in India. Puff Daddy has been a huge supporter of our work in the past too following our World Water Day campaigns and raising awareness via twitter. We will be keeping you up to date with the progress of Puff Daddy’s wells and all our 70 wells through our social media channels so be sure to follow us on Facebook, Instagram and Twitter.